University Hospital will provide the training kits to parents whose babies are discharged from its NICU. 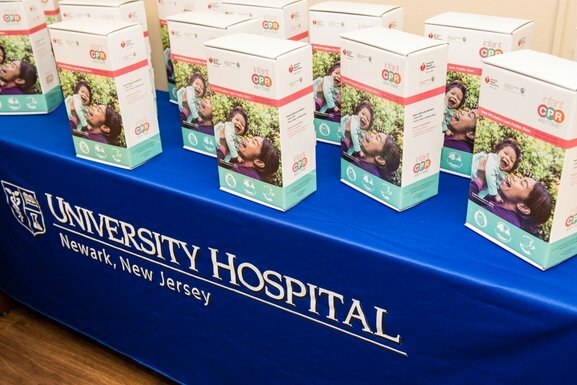 University Hospital in Newark recently received a donation of 750 infant CPR Anytime kits, which will be used to help train new parents on emergency lifesaving techniques. According to a hospital news release, the donation came from the American Heart Association with support from the Amerigroup Foundation. University Hospital will provide the training kits to parents whose babies are discharged from its Neonatal Intensive Care Unit (NICU). Hospital administrators said that the Infant CPR Anytime kit provides a 22-minute training session that teaches parents the core skills of infant CPR and choking relief. The kit focuses on training for emergencies involving newborns to 12 months and includes an infant CPR mannequin, training DVD and two reference cards. The association created the kit's contents in coordination with the American Academy of Pediatrics. "More than 7,000 children suffer an out-of-hospital cardiac arrest annually, according to the American Heart Association. While the reported number of infant out-of-hospital cardiac arrests varies widely, survival to hospital discharge averages 6.2 percent for children less than one year old who experience an out-of-hospital cardiac arrest. Seventy percent of cardiac arrests (adult and infant) occur at home." 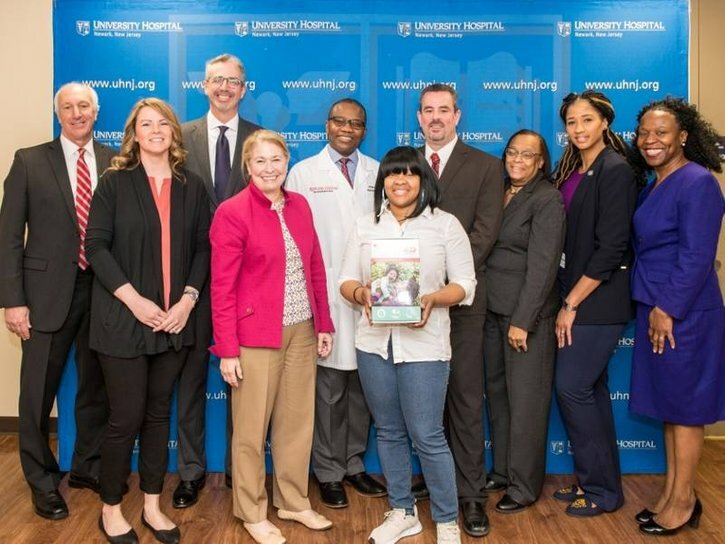 "University Hospital is grateful for the American Heart Association and Amerigroup Foundation's donation of life-saving CPR kits and educational materials for families to take home with them as we know that our care of patients must extend beyond the hospital's walls," said acting president and CEO Judy Persichilli. The American Heart Association is proud to offer these high-quality instructional tools to help our new parents become trained and knowledgeable on how to respond if their baby suffers a cardiac emergency," said Joe Cadicina, an American Heart Association Northern NJ Regional board member. "The kits will make it convenient for parents and others, such as caregivers and grandparents, who will be with the baby for a prolonged time period to learn life-saving skills." To learn more about the Hands-Only CPR campaign, visit www.heart.org/handsonlycpr or facebook.com/AHACPR.